Method is a QuickBooks-integrated, web-based platform with industry-specific applications that can be completely customized from head-to-toe. We start you off with a web-based version of your QuickBooks data, complete with a Customer Center, Vendor Center and Employee Center. Changes made in either QuickBooks or Method are synchronized in real time. Customize each screen any way you want. Create your own screens, tables, fields, actions and customer portals, using a simple drag and drop interface. No coding!! It’s the last system your company will need to invest in since Method can be customized to meet your company’s specific needs now and far into the future. Method provides an Application Library containing industry-specific apps that you’ll use as your starting point. Each application is just as powerful as your traditional off-the-shelf ‘boxed’ solution. What makes Method unique is its ability to be customized. 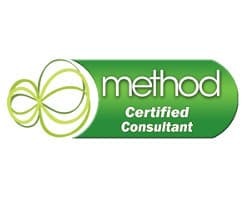 Each industry-specific Method app is built by Method Consultants using the same customization tools available to you. Don’t like a feature? Change it. Don’t need a feature? Remove it. Need a new feature? Build it. Method seamlessly integrates with your entire QuickBooks database. Changes made in QuickBooks are updated in real time to Method, and likewise changes made in Method are updated in real time to QuickBooks. There’s no denying it: the world is changing and so is the way we are doing business. Customers and vendors interact by email, and through each others’ websites. Employees work remotely in the field and from their homes. Business decision makers want real time access to data anytime, anywhere. Method, being web-based, gives you all these capabilities and more.